Paul, a native of Derry, turned professional in 2005 and became a qualified member of the PGA in 2008. Following a three year spell in Birr, Co. Offaly he was appointed Head Golf Professional at Killeen Castle in April, 2011. 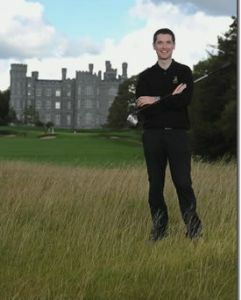 Paul manages our golf operation, Pro shop and golf coaching at Killeen Castle. Paul brings a wealth of golf experience to our team and from the pro shop to the practice ground he can cater for all of your golfing needs. Copyright © Killeen Castle 2017.